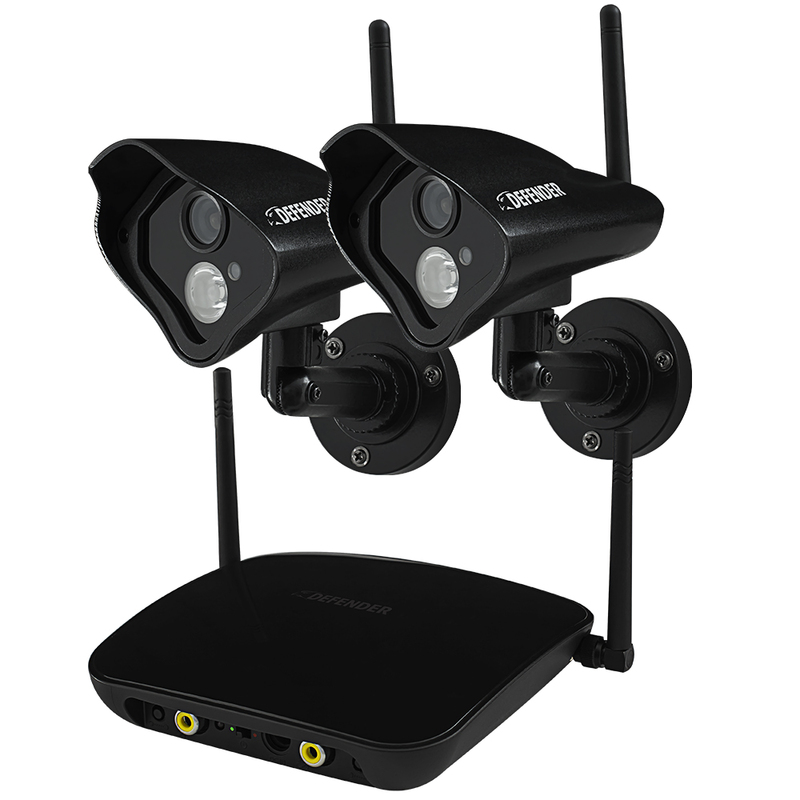 Defender® PHOENIX™ Pro Wireless Security System can be used to monitor video in any indoor or outdoor space at any time. This wireless plug and play system allows for easy set up in a matter of. The wireless, weather resistant camera included with this system has one wide-angled array infrared LED that allow you to see up to 100ft away in the dark. Ideal for monitoring entrances, backyards, valuables and employees, this PHOENIX™ Pro system can be used in any situation you need. Digital Wireless Technology makes set-up hassle free. This advanced system automatically connects when turned on – no wiring required. Superior digital functionality ensures that the signals remain strong as you monitor your business or home wirelessly, up to 750ft away. See it all in pristine detail, day or night: 520 TVL cameras with 100ft night vision leaves nothing to the imagination. The indoor/outdoor camera provides you with a clear, secure picture, even when you monitor after-hours or in a dark location. The camera comes equipped with advanced night vision and 1 wide-angle array infrared (IR) LED that let you see clearly in the dark, up to 100ft away! This high quality array IR LED provides clear and even night vision that is able to cover the camera’s full field of vision. The LED activates automatically when it gets dark, and deactivates during the day to save energy (CDS sensor). With this system, you can rest assured, knowing that you will have 24 hour protection. Really easy set up !!!!!!!! Its great to be able to view whats going on at home right from your phone!!!!!! Set up was really easy, and the picture quality is really good. Definately worth the $$$$$$.